Prime Members: Disney Herbie 4-Movie Collection Only $7.49! 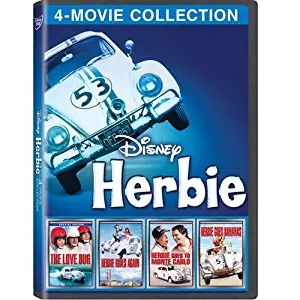 Love the classics – Amazon has the Disney 4 Movie Collection: Herbie (Love Bug / Herbie Goes Bananas / Herbie Goes To Monte Carlo / Herbie Rides Again) on DVD for only $7.49 if you’re a Prime Member. Keep in mind, Amazon pricing can change at any time! Don’t wait to purchase this deal or it might be gone when you come back!